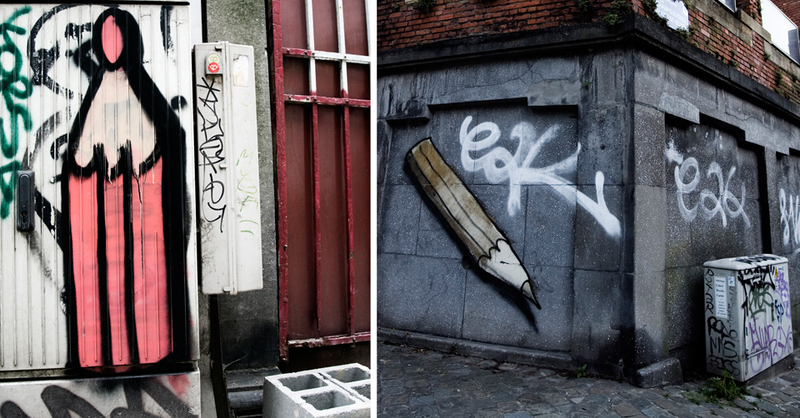 I've been noticing these pencil graffitis popping up all over Brussels recently - I have no idea what they are supposed to mean if anything or why, but I quite like them - colourful and playful... I think I might start collecting them - these two aren't the nicest but the closest to home so best to start there. Spent the day cruising around printer shops, which was informative...and oddly fun. Canan is in town for 24 hours and crashing at ours tonight.